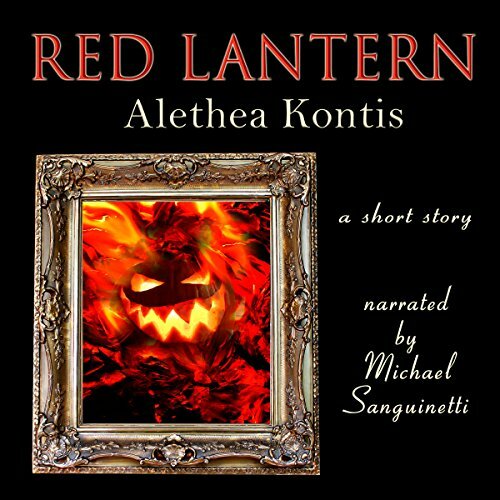 Inspired by the Codex Writers Halloween contest, listeners will enjoy this contemporary retelling of the Jack o' Lantern myth! Set on Halloween, Jack Brown is one frustrated painter set on not having any fun. His neighbor Cassie, a Wiccan, has invited him to her party but he plans to stay in and brood. That is until a little dab of blood gets his painter’s inspiration flowing again. What he paints changes his life. Right from the start, we get a feel for Jack’s life. He’s taking photos of an aged beauty, Molly, who also is well-to-do. He doesn’t really want to paint her portrait but he feels he needs the money. Still, he has this inner monologue that is grumbling about everything. He doesn’t like his neighbors either. In fact, Cassie’s cat somehow got into his apartment once again. Cassie does tease him a little but in a good-hearted way. Alas, Jack can’t take it for what it is. So in a moment of self-harming, inspiration strikes! But is this the good kind of inspiration or is it something that will consume him, soul and all? It is Halloween and evil spirits may be about. What follows had me on the edge of my seat. I know this is a short story, but it grabbed me from the start and those 33 minutes flew by! Red, red, red is what consumes Jack. A bit of his blood goes a long way in this tale. I liked that I wasn’t sure where things would go in this story. I knew Jack was in trouble but I wasn’t sure what form the trouble would take. Even at the end, I wasn’t sure how things would go for Jack until all was said and done. And I like the little bits of humorous imagery thrown in as people in costumes make small appearances in the story. For instance, the woman in camo fallowed by a 6 ft tall squirrel gave me a little laugh. All told, it’s a great story to set you in the mood for Halloween. The Narration: Michael Sanguinetti did a really good job with this story. His narration was smooth with no technical issues. His voice for Jack was spot on, making use of various emotions as the story called for. I liked his simpering old lady voice for Molly and his gentling teasing voice for Cassie. What a good story. I was captivated from the beginning. Perfect timing the coming fall and Halloween. The ending was unexpected and perfect. I will be looking for more offerings from this author and narrator team. I had not read this story prior to listening to this narration, and had no clue that it was a Halloween time story. I loved the story, and the narrator delivered a great story. I look forward to listening to more narrations by Michael, and hearing him grow as a narrator. Jake is a painter who has lost his inspiration. His neighbor Cassie, a lively and optimistic girl, invites him to her Halloween party, but Jake is just sorry for himself to join the party and enjoy. He will fall then under a spell thinking that he just found his muse. This is a retelling of the classic story about Jake and the lantern. The audiobook is just over 33 minutes long, so it makes for a quick listen. The characters are well pictured, and we get a clear image of them, despite the short length of the book. I found the story interesting, and it kept my attention until the end. It is a very appropriate book for the season, and I would recommend it to anyone who would like to get in the mood for Halloween. Michael Sanguinetti’s narration was good, delivering extraordinaire character’s interpretations and voices. There were some audio production issues though. Probably the original recording had some background noise, because the final track sound very heavy processed, with a strong noise reduction. There is clear artificial silence between many of the sentences, and there are words that appear clipped at the end, like ‘Ja(ck)’ around 29:41 and ‘thi(ck)’ around 32:26. It is a pity, since the narration is well done, but this is one of the issues when narrators begin their career. Investing in a recording booth and equipment is a good idea to avoid having these issues.